The longer length skirt has been a major catwalk trend. 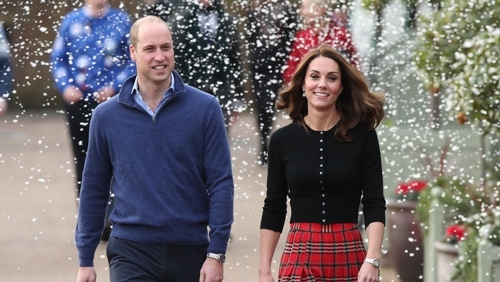 Kate Middleton looked suitably festive hosting a Christmas party at Kensington Palace with Prince William, choosing a bright red tartan skirt that she teamed with a black cashmere cardigan and black suede boots. Kate’s skirt is by Emilia Wickstead, the British designer whose AW18 collection featured tartan heavily, and is notable because it taps into a major autumn/winter trend – midaxi skirts. The skirt isn’t available online, but you can get the very similar Giovanna Smocked Tartan Crepe Midi Dress for €795 on Net-a-Porter. Longer than a midi but not quite a maxi, midaxi skirts were also seen on the autumn catwalks at Dior, Balenciaga, Simone Rocha and Lanvin. Now, they’re big news on the high street. The great thing about a midaxi skirt is that, if you pair it with long boots, like Kate did, you don’t need to wear tights, because your legs won’t be uncovered. Want to try the trend? ASOS should be your first port of call. The online retailer has got a range of swishy skirts perfect for day, as well as more structured styles for evening. 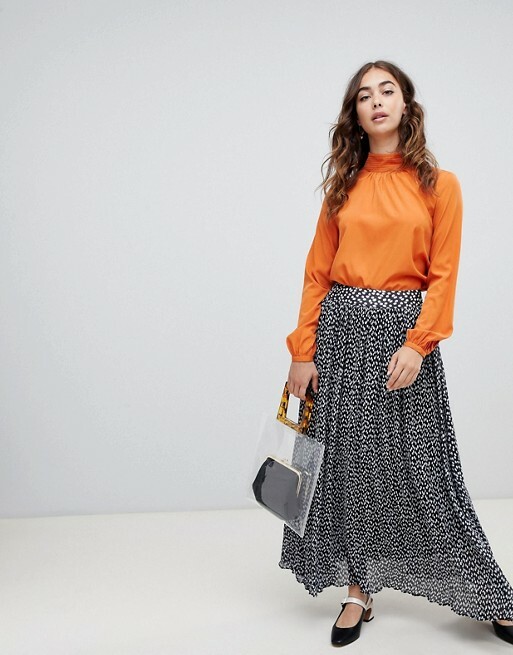 Animal print is another big trend this season, and there are lots of midaxi skirts around in leopard and snake prints that look great worn with black boots. For something a bit sexier, try a bodycon midaxi skirt – these often come as part of a co-ord set. But if it’s the tartan look you’re after, M&S has a variety of kilt-inspired skirts, from colourful pencil skirts to loose pleated styles.